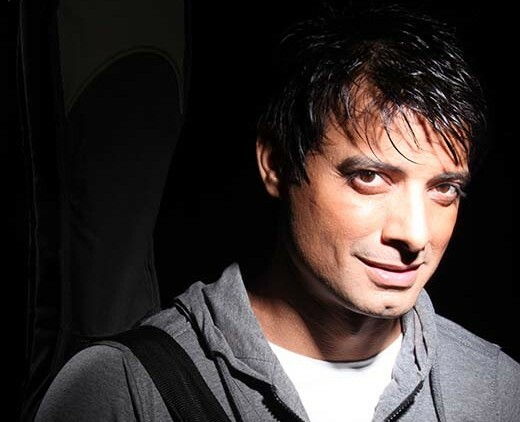 Actor Rahul Bhat, who was recently in Kashmir shooting for his upcoming film Fitoor, made headlines for his bold comments on Kashmir and demiltrilization of the region. In an email interview he tells Saima Bhat that being pro-Kashmiri is not a crime. Kashmir Life (KL): Your comments regarding Kashmir during recent trip made headlines. You said Kashmir is not a conflict zone. Then how do you see the exodus of pundits and the role of majority community? 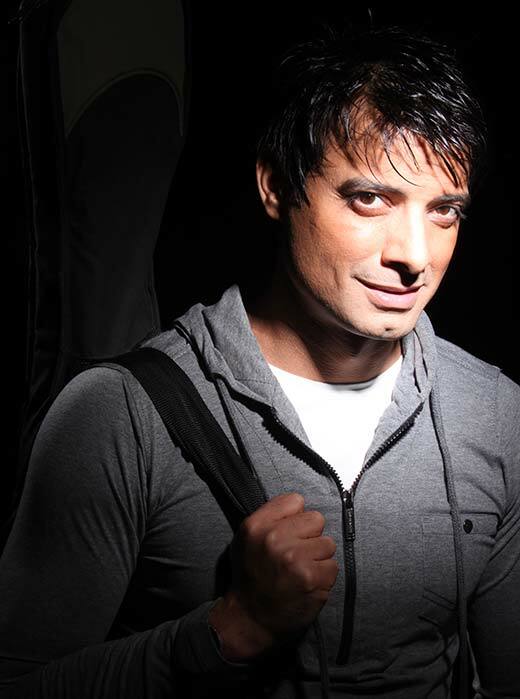 Rahul Bhat (RB): Yes I was in Kashmir and I don’t think this is a political question; it is a question which affects all of us: Pandits or Muslims. I said that when Kashmir is on the path of recovery and the Kashmiris are showing great faith in the Indian government, by showing up in such large numbers for voting at the elections; we should show them respect and encourage them. There are many fringe elements everywhere, in every society, not only in Kashmir, but also all over the world including other parts of India. We have to be really careful at this sensitive time and refrain from adding fuel to fire. And that is all I said. What happened to Kashmiri Pandits was horrible and I do not wish to go back into history and play the blame game. Sometimes, we have to move past our painful history to focus on the present, so that we can build a future that is peaceful and can assure a great life for all Kashmiris. KL: Do you see the return of Pandits as a viable option giving the long gap of 25 years? RB: No, I don’t see the return of Pandits as a viable option because a lot of water has passed under the bridge. It has been twenty-five years. A whole new generation of Kashmiri Pandits is born outside of Kashmir and are working as professionals. I will give my example. I am an actor, and my “Karmbhoomi” is Mumbai. I cannot leave Mumbai and return to Kashmir simply because Kashmir does not give me those options. But, of course, there is a certain section of Kashmiri Pandits who would like to return one day but what do they return to? Now, talking about the poor Kashmiri Pandits who have had the most miserable circumstances to deal with, at the mercy of the government, they should be given economic packages to resettle them. Do you want to sell them false dreams again and make them wait another 25 years for the hope that one day they will settle in Kashmir and rebuild their life? The only way to solve these complex problems of history is to accept reality and be practical. KL: Can you please recall the situation of Kashmir, when you left for Mumbai in early 90’s? RB: When my family and I left Kashmir, we also lost everything. The situation was extremely volatile and horrible. There were strikes (hartaals) everyday, looting was out of control, guns firing all the time, bombs being blasted. It was horrific. Any peace loving community would feel threatened of their existence. Which is why, Kashmir Pandits, who did not want violence and did not feel safe, began to leave. I recall that not only Pandits but also so many of the Muslim families that I grew up with were also feeling the same insecurities. And they too were sending their children away for education. It was not a safe time for anyone. Whether Pandit or Muslim, for the average Kashmiri, their everyday existence was at threat and had come to a complete standstill. Nothing was working at that time for anyone. And there was no option for peaceful minded people, but to leave. That is how the insurgency pushed us out. KL: Have things improved or got worse since last two decades when you last visited? RB: I feel that things are now beginning to improve. I could see it this time that the people just want peace. And if people want peace, we should give them a chance. Kashmiri Muslims have also suffered enough. India should not look at Kashmiri Muslims as if they are not our brothers, they are. Stop treating them like our step-brothers. It really saddens me when we say that Indian army helped them during the floods. Indian army helps and protects every situation for Indians. They helped in floods in Uttarakhand, blasts in Mumbai; Indian army is for Indians right? So if Kashmiris are Indians then why are we acting as if we are doing Kashmiris a favour (Ehsaan)? Isn’t the Indian army just simply protecting the citizens of India? On one hand we call Kashmir a part of India and on the other hand we discriminate with Kashmiris. KL: You said Kashmiri Pandits who left during 90s are settled outside and they won’t return. Is it then just politics that people are talking about leaving everything behind and coming back? RB: There are two ways to look at it. One way is that I definitely feel it is politics. Politicians sell false dreams to people because that is how they benefit from the miseries of the public. They keep selling false dreams that Kashmiri Pandits will return. It has been 25 years; shouldn’t it have happened by now with such a small community? Kashmiri Pandits were scattered all over Kashmir including the outskirts, so how exactly will they be resettled? How will they do it? Unemployment is the biggest problem even for educated Kashmiri Muslims today, so what employment opportunities will you give to the resettling Kashmiri Pandits? Are you going to give jobs to more lawyers, doctors, engineers or teachers? Do we want to send 5 lakh more people to add to the already existing bad situation; where the people living in Kashmir themselves are struggling without jobs? Why play on people’s emotions without a practical plan? There are great philosophers, thinkers, economists, who should sit down and find solutions to this problem; not people with ulterior motives. KL: You are perhaps among a few Kashmiri Pandits who say that Muslims in Kashmir suffered more. Was there any backlash from Pandits regarding your assessment? RB: Yes, there was backlash from some Pandit organization in Jammu, they even called for a press conference ridiculing me but it is understood that it would happen. Anyway, who are these people and what have they done for the poor Kashmiri Pandits anyway? Name one Kashmiri Pandit that they have helped. They are self proclaimed leaders of Kashmiri Pandits and actually have no standing. They are scared that I will expose them. Their whole existence is revolved around keeping this issue burning. Anyway, it does not bother me, what they say. They can hold press conferences and dharnas against me. It is ok. If a child is killed in a bomb blast, does religion really matter at that time? My heart bleeds for the children. We should stop being Hindu or Musalman and start becoming “Insaan”. That is what I believe. KL: You talked about lack of infrastructure in Kashmir. Can you please elaborate? KL: How do you see heavy miltrilization of fabled Kashmir? RB: Presence of military is essential at the border areas. However, I strongly feel that Srinagar city has become a peaceful place and we should allow the people to give peace a chance and demilitarize Srinagar city. It will be a strong confidence building action on behalf of the Indian government to have faith in the Kashmiri people. It will also give hope of demilitarizing Kashmir completely in the future. But they should take action immediately on this matter. KL: Your recent press statements regarding Kashmir are seen as pro-Kashmir? Was it because you have been visiting your motherland after a long time and turned emotional? RB: If speaking from your heart is considered as pro-Kashmir then yes I am pro-Kashmir. Why is it wrong being pro-Kashmir or why is it a taboo? I don’t understand. I am talking about peace and love. Is it a crime now? KL: Do you have any plans to get engaged with Kashmir in your professional or personal capacity, after you have witnessed the reality recently? RB: Yes, I definitely have plans, but only if the government is willing to look into it. I think sport is one such area that we can look at. A sport brings positive energy, and I know how much Kashmiris love cricket. So I would like to propose “Cricket for Peace”. I request Indian and Pakistani cricket players to come on board and we can collectively do something for the youth of Kashmir. Secondly, everywhere we went to shoot for “Fitoor”, we go a lot of co-operation from the local Kashmiris. I feel strongly that if the government offers film shooting subsidy offers to Bollywood, then they can open an entire new industry of work for the Kashmiri youth. Uttar Pradesh offers subsidies and that impacts employment immediately. When Kashmir has all seasons available in India itself, why not explore filming here? If 30 films are shoot in Kashmir with a Rs 2 crore incentive, that is an immediate Rs 300 crore generated for the state and employment for lakhs of youth. I would request the government to build infrastructure and build institutes to train the youth in different spheres of filmmaking. There are such talented people who would come up in their life because of this. KL: There is disconnect and misunderstanding between the two communities in Kashmir. As a filmmaker don’t you feel compelled to bring them together through cinema? RB: Yes, there is disconnect due to unfortunate circumstances which were beyond anyone’s control. But I will not blame any community; I think we should all move on in harmony. India is the land of Mahatma Gandhi and the Gandhian way is what will guide us in these trying times. As a film maker, I would definitely want to explore scripts which address this and I am sure when I make the movie, I will show the truth as I see it, as I speak everything from my heart and you will be able to see it.